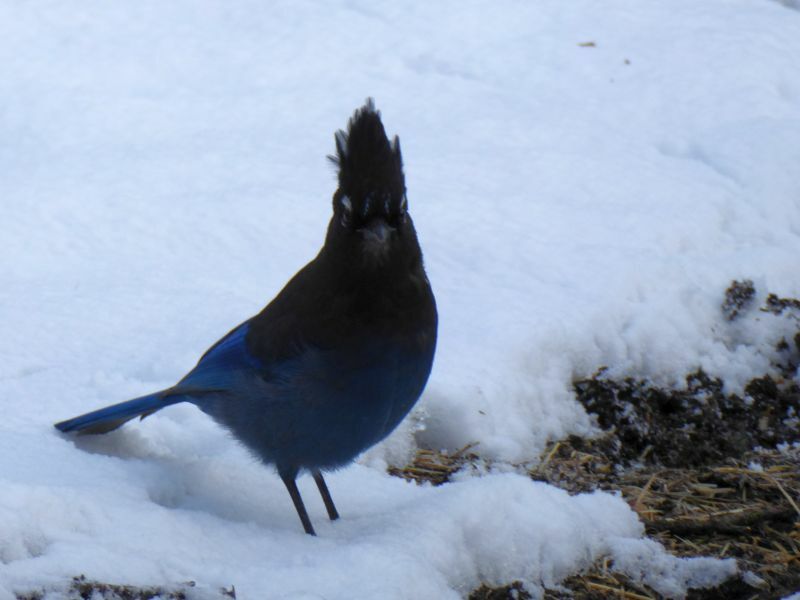 Lately I've been seeing a single Steller's jay hanging around. Of the crow family, magpies are the most common around here. 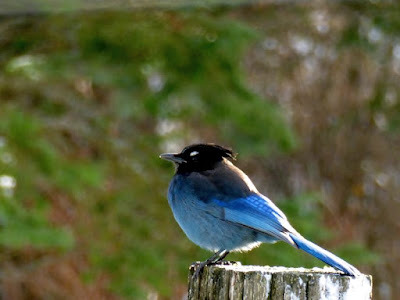 Once in a blue moon I'll notice a flock of gray jays flit about, and of course crows and ravens are common, but jays? Less so. He was very bold and came quite close. 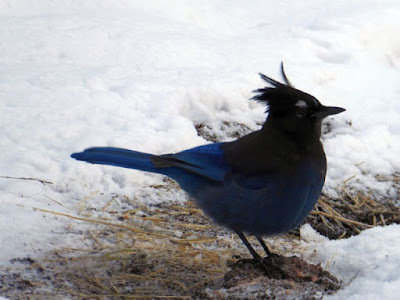 He actively pecked at this piece of frozen manure. I don't know if he found seeds or frozen larvae or something, but it certainly kept his attention for ten or fifteen minutes. 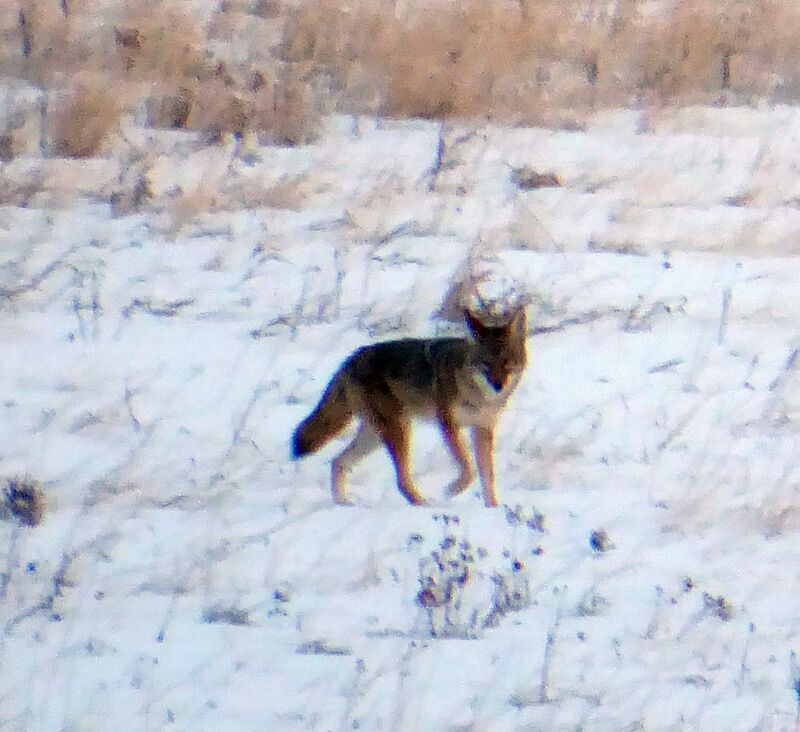 Less welcome was the sight of a coyote across the field from us. We've all lost chickens to coyotes, and no one bears much love for them. 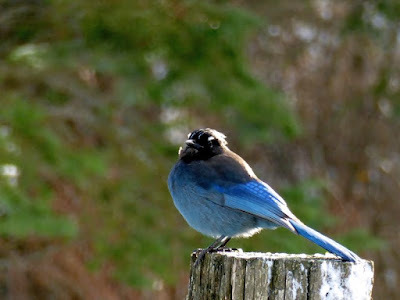 ...nonetheless I waited until he was good and gone before I let the chickens out of their coop. 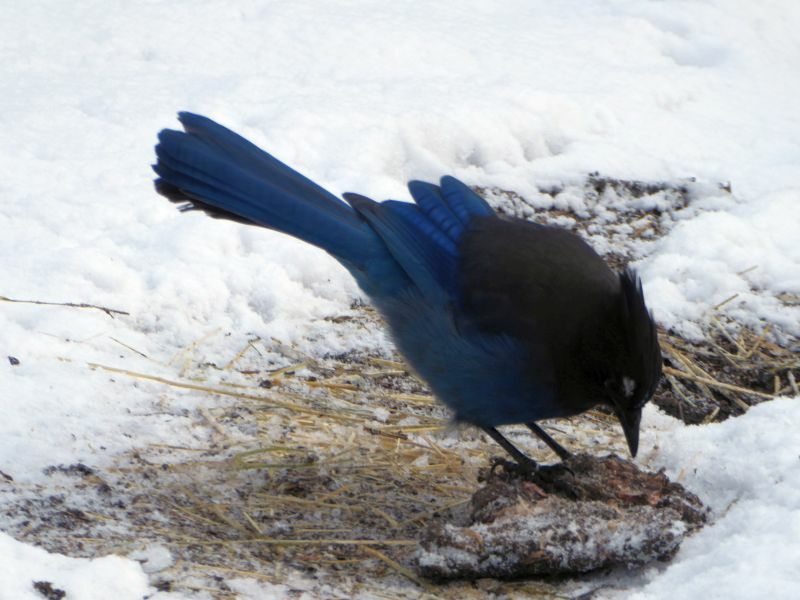 We feed our birds during winter months, especially the quail. 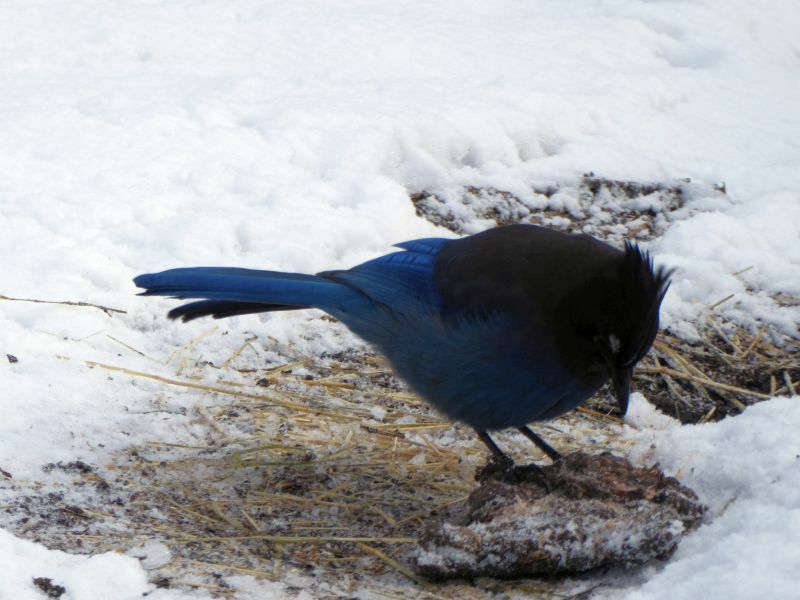 They are good eating, too....especially in a survival situation. I love the jays and wish we had the steller's here, too. 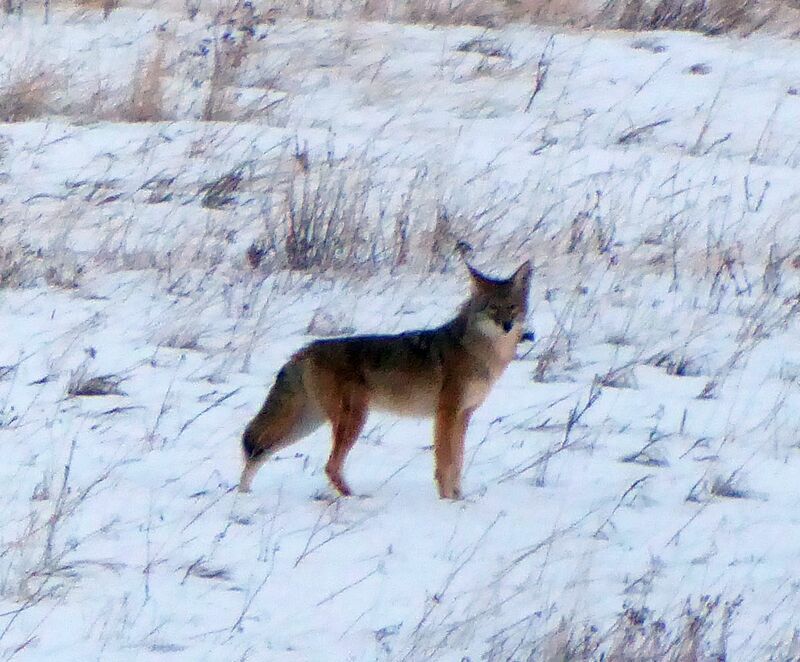 I haven't heard a coyote for a few weeks now. We don't worry so much about them as that bald eagle that is hanging around. 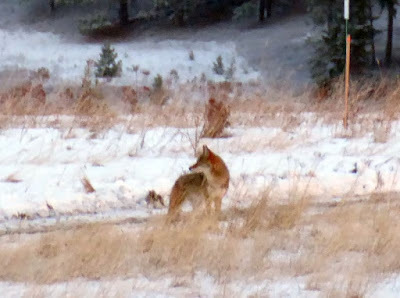 We have at least one large coyote pack running around here quite often (we are across the border in Washington State). 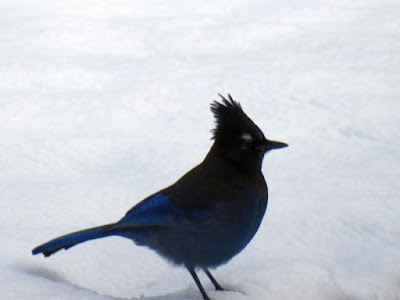 I haven't shot any of them yet, but they are becoming increasingly bold around our coop. We have the chicken field, house and outbuildings completely fenced but they have been known to dig under fences if they get hungry enough. May need to shoot one running the fence line just to send a message. We sell our eggs, and I have no need of a coyote taking a bite out of our budget. Why wait for damage? Go on the offense and save your chickens. Why wait for trouble go on the offensive and take them out. I live in 3B Idaho and am not used to the coyotes that sing at night. 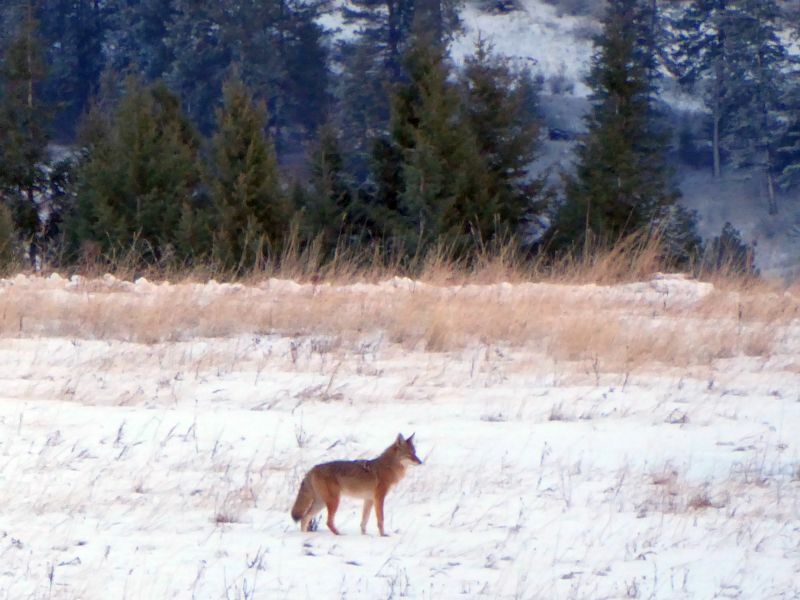 Where I moved from, the wolves were decimating the packs. I heard wolves up in the canyon but no coyotes. Not sure which I prefer. Shudder. That said, we had a deer decimated at the corner of our property this spring. A hoof and tufts of fur that covered a large area were all that was left. No bones and no blood on the ground. It was on the path of our daily walk. Looked more like wolves to me. We had a jay in the ancient elderberry bushes behind the barn. He was defending his turf as I laughed with joy. 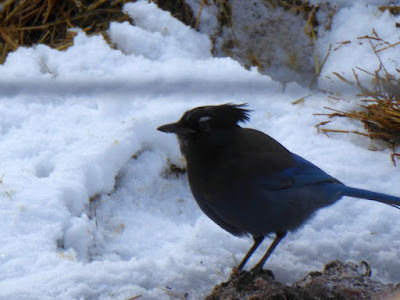 I didn't see Jay's in Wyoming for 15 years; hailing from MO I had missed my birds. 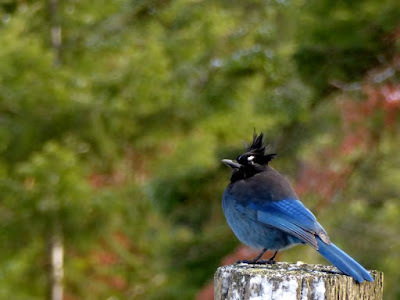 Your photos of the jay are gorgeous as is the bird. Thank you for the spirit lift. We see lots of Grey Jays and Stellar's Jays in Western Wyoming. As Patrice said, they are very bold. i had a fox take out 3 chickens last spring.